On the left front tail is the "Medalist Sand-Knit" manufacturers tag with wash instructions. 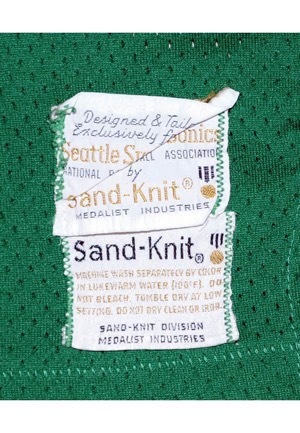 Above is the Sand-Knit “Designed & Tailored Exclusively for the Seattle Super Sonics” tag. 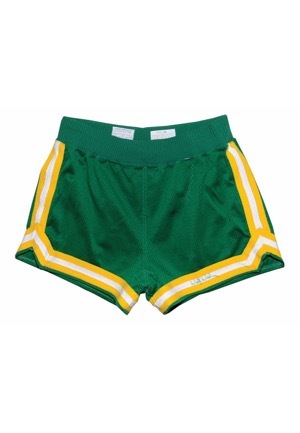 Across the front is "SONICS." 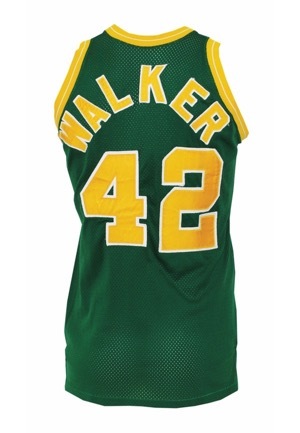 Below and on back is the player number "42." 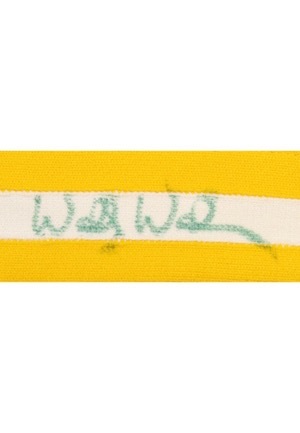 Across the back is the player name “WALKER.” All lettering and numbering is done in yellow on white tackle twill. 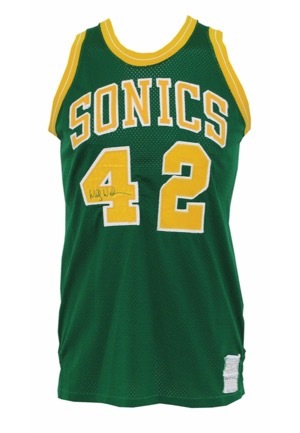 Autographed on the front number in green marker and in our opinion rates a 9. 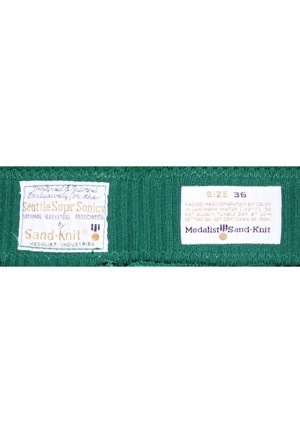 On the back inside waistband of the shorts is the "Medalist Sand-Knit" manufacturers size 36 tag with wash instructions. 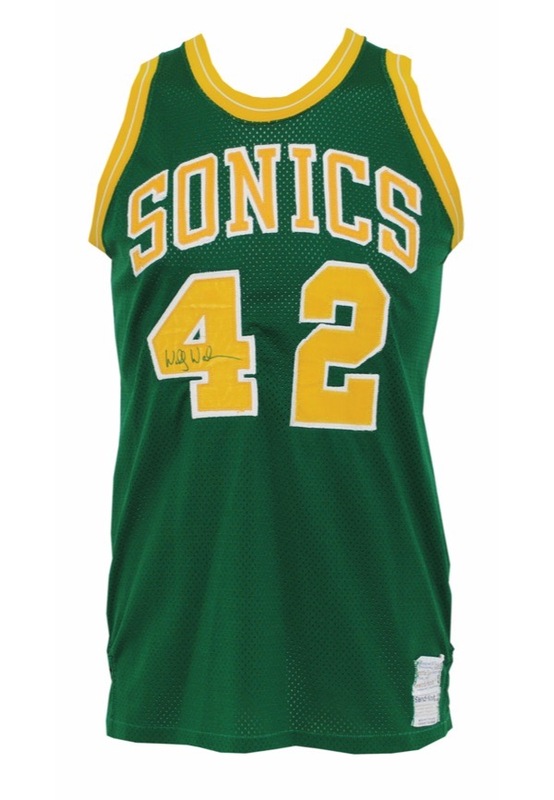 Adjacent is the Sand-Knit “Designed & Tailored Exclusively for the Seattle Super Sonics” tag. 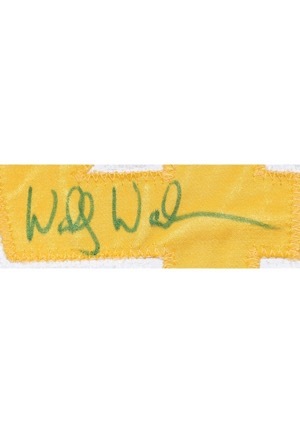 Autographed on the front in green marker and in our opinion rates a 9. The manufacturer's tag has been reinforced. This jersey is properly tagged, was presented to us as game-used and in our opinion shows outstanding use. Accompanied by a LOA from JSA and a Photo-Match.com LOA confirming the matches to Getty images #81005491 ('78 Finals), #911256454, #916208264 and #916208260.